Is your New Year’s resolution to listen to more Australian-made podcasts? We’ve collected some of our favourite homegrown episodes of 2018 in this playlist, so you can find a new fave on your Christmas flight home, or while you’re lying on a beach somewhere. 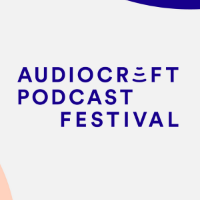 A Podchaser list created by Audiocraft. Kane and Jason are safe, and return to the Best of Luck Bar. The attacks have been ended, and the community can now begin to heal. ----more---- Written by Erin KyanProduced by Passer Vulpes ProductionsRecorded by Kermie BreydonKane voiced by Lee Davis-ThalbourneJason voiced by Erin KyanVictor voiced by Darby TurnbullHelen voiced by Ashe ConnorNews Anchor voiced by Ben HarbertsCredits voiced by Roslyn Quin Cover art by Soufex Parsons Cope: http://soufexdraws.tumblr.com/ Additional sound effect by Kyle Evans: http://www.squeakyfish.com.au/ Additional thanks to Mary Borsellino: http://www.maryborsellino.com/Additional thanks to Jessie Ngaio: http://www.jngaio.com/ This was the final episode of Love and Luck's Season 1. Season 1 was recorded at the Kathleen Syme Library and Community Centre in Carlton, Melbourne. We would like to acknowledge that Love and Luck was made on the stolen land of the Kulin Nation. It was written and is set on the land of the Boonwurrung People, and was recorded on the land of the Wurundjeri People. We pay our respects to Elders past and present, and extend that respect to all Indigenous people who are listening. Sovereignty was never ceded. Australia always was, and always will be Aboriginal land. Love and Luck will return on the 18th of September, 2018. We hope you join us again then! Find out more about us at https://loveandluckpodcast.com, and follow @LoveLuckPodcast on twitter, or on Facebook as Love and Luck Podcast. Gus Fitzgerald has spent life a life in the ocean; a surfer and swimmer and commercial diver who was introduced to the water by his late father. Lots of life lessons were learnt in the deep, but how do you stay afloat when you lose the people you love the most? Storyteller – Gus Fitzgerald Story Producer - Sam Carmody Told at Darwin Entertainment Centre in 2018 at Garrmalang Festival --- SPUN Stories is a live storytelling night based in Darwin, Northern Territory, Australia. We're all about shining a light on the extraordinary personal stories of everyday Territorians - let us take you to some wild and wondrous places through our podcast! You can find out more about SPUN by visiting our website - www.spunstories.net --- Host + Producer - Jess Ong Sound Editor - Rosa Ellen Sound Production - Gaia Osborne Executive Producer - Johanna Bell --- Our podcast is presented by StoryProjects, with funding support from Darwin International Airport. Music used in this podcast episode is 'The Tiki Bar' by Laszlo Harsanyi. Licensed under a Creative Commons Attribution-NonCommercial-NoDerivatives license. For more: freemusicarchive.org/music/Harsanyi…arsanyi_Laszlo. And we’re back! For our season two premiere, playwright, actor and screenwriter Michelle Law joins us to chat about her recent trip to Hollywood, her earliest forays into writing, and the joys and challenges of creating the award-winning web series Homecoming Queens. Michelle Law is a freelance writer based in Sydney, Australia. She writes for print, film and television, and theatre. As a screenwriter, she has received an Australian Writer’s Guild AWGIE award for her interactive media work, and had her films screened on the ABC and at film festivals locally and abroad. She has also been a recipient of the Queensland Premier's Young Publishers and Writers Award. Her debut play Single Asian Female was staged in Brisbane and Sydney to sold out audiences. Homecoming Queens, the web series she co-created, co-wrote and stars in premiered on SBS On Demand this year – the first online series commissioned by SBS. She is currently working on the feature film adaptation of Alice Pung's young adult novel Laurinda. It's the one thing that Asian and mixed race women like co-hosts blogger Peony Lim, photographer Kit Lee and writer Hannah-Rose Yee are asked almost daily, and a question that comes loaded with microagressions and othering. In episode five, the penultimate episode of this first season of Three Dumplings, we talk about ways to approach the idea of race and identity in a new, more open way. Can we open a dialogue so that this pointed question becomes a two way conversation? Can we find better ways to talk about heritage? And in 2018 do we still need to have these conversations? Why do we have to define it? Thank you to Badlands Studio for our artwork and Ryan at Shortcuts for production. Raquel O’Brien is tormented by secrets. She begins her journey of exposing her family’s shared past by first uncovering the forces that brought her parents, Elizabeth and Ralph, together. When Elizabeth discovers her family are fugitives, Ralph’s character is put into question. It started as an idea in a Darlinghurst cafe and became the world’s largest short film festival. Tropfest has helped kickstart generations of Australian film careers throughout its 25 year history. While controversy and financial hardship has threatened the event, Tropfest has endured and the picnic continues. People don’t look inside locked cars. Or at least, most of them don’t. For a mother whose baby is asleep in the back, a parked car can be a private sanctuary. Until it isn’t. How Do You Evacuate a Zoo? Healesville Sanctuary is home to some of Victoria’s most critically endangered animals. So what happens when catastrophe looms?Fauna is produced by Bridie Smith and Bec Fary for Zoos Victoria. Hosted by Annie Last. For music credits and more information, visit zoo.org.au/fauna. Thirty years of mystery surrounds the death of 17-year-old Mark Haines. In the middle of a mining town in outback Australia, over 400 kilometres from the closest ocean, stands a monument dedicated to the memory of the Titanic.On the surface the story of Broken Hill’s Titanic Memorial can be seen as a simple tale of memory and humanity, one community expressing their sympathy for another.But on closer inspection, the politics of memory starts to unravel and raises questions about the power of remembering and why we do it in the first place. In 2017, women around world came forward to talk about their experiences of sexual violence and harassment. Since then, women everywhere have spoken out… including Holocaust survivors. Francine Lazarus repressed memories of sexual assault for decades. During the Holocaust, one of her protectors became what she feared the most: a predator. But it wasn’t until, recently, when she heard fellow Holocaust survivor Lily Wolf share her own story of sexual assault that she felt brave enough to speak out. Story by Lisa Clarke Supervising producer: Beth Gibson Consulting producer: Hannah Reich Original music: Ben Tupas With special thanks to Dr Rebecca Kummerfeld and Dr Ari Lander from the Sydney Jewish Museum. All The Best credits: Executive Producer: Selena Shannon Victorian State Coordinator: Bec Fary Host: Samantha Groth Episode Compiler: Tegan Nicholls SYN production manager: Jordan Fennell Community Coordinator: Chloe Gillespie Image provided by Lisa Clarke Music: ‘Untitled’ by Ben Tupas, ‘Echo’ by David Szesztay, ‘Epoc’ by Jon Luc Hefferman The post #1806 Women of the Holocaust say #MeToo appeared first on All The Best. Since the first time someone told a story around a campfire a lot has changed about how we tell stories to one another. In this first episode of Lumina, Fenella Kernebone talks to two creatives rethinking the way we tell stories; Tea Uglow, Creative director at Google’s Creative Lab in Sydney and Mikaela Jade, CEO and founder of augmented reality company InDigital. Both think screens are just a stepping stone on the way to a world full of interactive stories we can barely conceive of yet. Lumina is a podcast about how tech innovations challenge and shape the way we share stories, produced for the Australian Film Television and Radio School (AFTRS) by Audiocraft. There's a back-up plan for plants going extinct in the wild - it's called seedbanking. Scientists from the Australian PlantBank spend weeks in the field tracking down native plant material from all over the country to bring back to the incredible facility in Western Sydney, so they don’t disappear forever. Go deep into the Australian PlantBank labs and discover how scientists are experimenting with storing plant material in agar jelly, special freezers and liquid nitrogen to build this vital insurance policy for plants, and us. Thank you to the Australian PlantBank sponsors HSBC and TransGrid as well as the Arcadia Fund for supporting this vital scientific work. Has the federal government been ignoring a mental health crisis among child refugees and asylum seekers on Nauru? Background Briefing has obtained dozens of questionnaires that provide a snapshot of how kids on the island were faring between 2015 and 2017. A prominent psychiatrist says the results would have been given to senior immigration department bureaucrats yet requests for medical evacuations were repeatedly denied. Olivia Rousset investigates. When Nick Kulikovsky passed away at a caravan park in the town of Katherine, his friends thought they had farewelled a quiet, well-read loner. But Old Nick had a family legacy that couldn't be buried. Laura from Lala Social Club is back in the guest chair. We discuss side hustles and have a little surprise for Erin.Things you need to know & places you need to go!-Help support us here & keep the show commercial free, from as little as a coffee per month ($3.50): https://www.patreon.com/mymillennialmoney/-Insta & facey @mymillennialmoney-Our private facey group for listeners: https://www.facebook.com/groups/mymillennialmoney/-Check out Glen's cash flow course here: https://www.sortyourmoneyout.com/online-course/ (use coupon code "m3" for 20% discount)-John's website: www.solverewealth.com.auFeel like giving us a review if you like the show (if you listen on Apple Podcasts)? It's May 2016. The podcast is taking off. Astrid's new cousin is due next month! And I can't decide if we should ignore the fact that we are broke and somehow find a way to go to New York for Mimi's wedding, for a reunion with our friends from Denmark one year on, while Astrid still remembers them.Time has turned in on itself. These events of mid 2016 might feel familiar, though context has changed. The series has become a mobius strip. This production is made by Sophie and Astrid Harper, in partnership with Wondery. We’re supported by generous listeners. Story editing by Michelle Webster. Thanks to my family and friends for being part of the story, and especially to Astrid. Music from freemusicarchive.org - CC NC License:Weathered Home 3:Bird Split Sky by Candlegravity, Sound Merchant by simon_mathewson and Readers! Do You Read? by Chris Zabriskie. Ad music from freemusicarchive.org - CC Commercial License: Drop of Water in the Ocean by Broke For Free.Sponsors care/of: US listeners, for 25% off your first month of personalized care/of vitamins, visit takecareof.com and enter code ACCIDENT.Hello Fresh: US listeners, for $30 off your first week of HelloFresh, visit hellofresh.com/accident30 and enter code ACCIDENT30 Thank you kind people supporting us on Patreon! Margaret P. Jones, Trish Perlen, Angela Kim, Emma Burbank, Ellie McHale, Russell Kerrison, Julie Greenhalgh, Rebecca Reid, Kasey Tomkins, Dianne Firth, Anne Staude, Sarah E. Leslie, Adam Coulson, Melanie Ann, Lea Durie, Laura Getson, Bill, Sue Giugni, Maia Bittner, Elizabeth Adcock, Megan O’Brien, Katie Wolgamot, Hannah Lownsbrough, Lilit Asiryan, Laura Madge, Laura Cherry, Bethany White, Paul S Mitchell and Mariele Thadani and more.If you’d like to chip in a couple of dollars towards each new episode, go to patreon.com/notbyaccident. Go to www.notbyaccident.net to find out more about the series, join the e-newsletter or to get in touch. We’ll be back with the next instalment in about 4 weeks. Veronique was five years old when her half brother first abused her. She says that for most of her life she was imprisoned in a cage of shame and silence.But upon hearing her abuser was now living with a woman who had children of her own, Veronique came forward, only to be let down by the criminal justice system.Hosted by Verity Firth and produced by Ollie Henderson, Ninah Kopel, Miles Herbert and Joanna Cabot. It’s the late eighties and the oil industry is booming. Life’s good. But when you’ve become comfortable dealing with risk, it makes for predictable accidents and it’s easy to forget that if things go wrong, they can go really wrong.